Successful businesses know that smart investments in technology deliver real results. Epson is a leading provider of technology solutions for document management, collaboration, business transactions and commercial printing. We stand apart from the competition because of our leading-edge technologies that deliver powerful productivity, outstanding results and cost-effective ownership. Maximize Your Productivity. 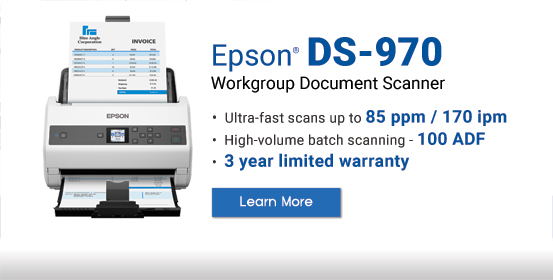 Whether you work in a large office, on the road or at home, Epson offers a versatile line of document scanning solutions to meet every business need. Featuring ideal options for Finance, Healthcare, Education, Government, Real Estate, Legal, Home Office and more. 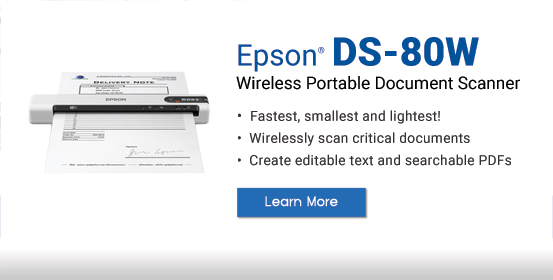 Scan documents, photos, slides, and film with Epson high resolution photo and flatbed scanners. Run your business at full speed. Discover all the ways Epson's full lineup of printers can help your business succeed. 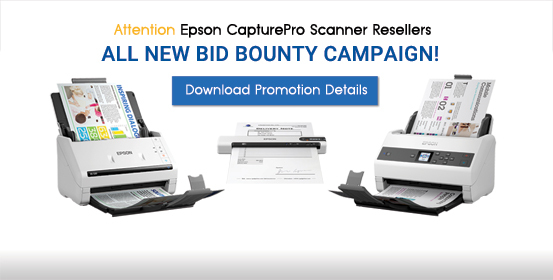 Enroll and reap the rewards and benefits from Epson's Premier Partner Program. 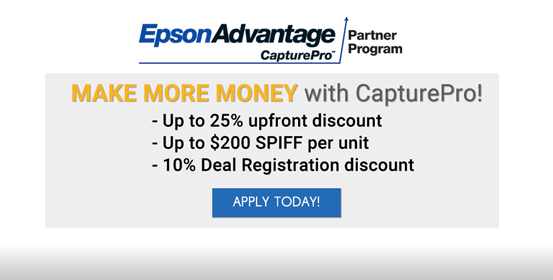 Take advantage of some great end user savings with the purchase of Epson products.